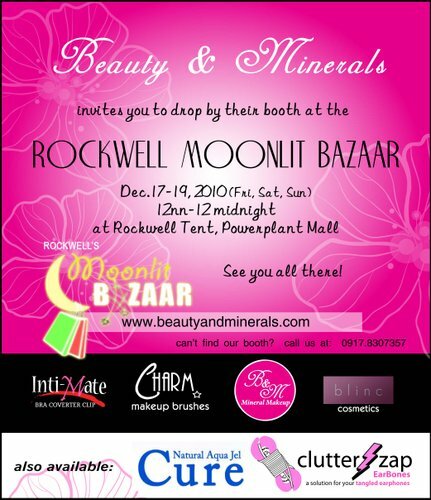 Sophie of Beautynomics.com will be having her last bazaar for the year 2010 this coming weekend – at the Rockwell Moonlit Bazaar! Mark your calendars: that will be December 17-19, 2010. That’s from 12 noon to 12 midnight.